First things first, isn’t that an awexome poster? I just lorve it. So this Saturday (July 1st) there’s gonna be a pretty durned great show happening up at the Sunset Tavern in Seattle. Apparently a couple of members of the band The Hoot Hoots have birthdays about now-ish, so they’re calling this a “Birthday Show” for The Hoot Hoots. They’re a great, high-energy, funny band with matching costumes and light-up glasses. Always a goot time! Then there are the Echolarks, and I’m afraid I haven’t actually seen them live before so I can’t comment on them, but their recorded music has an exceptionally high polish and professionalism, and is quite catchy. And finally there’s Warren Dunes, the supergroup mashup of the Five Finger Discount and Electric NoNo. 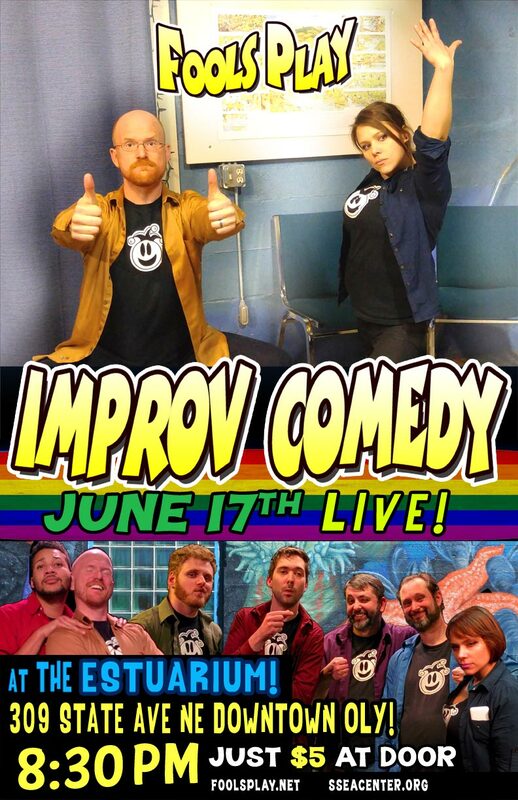 This is Warren Dunes’s first public show (their previous one was invite-only)! So, yeah, should be a grand ol’ time! 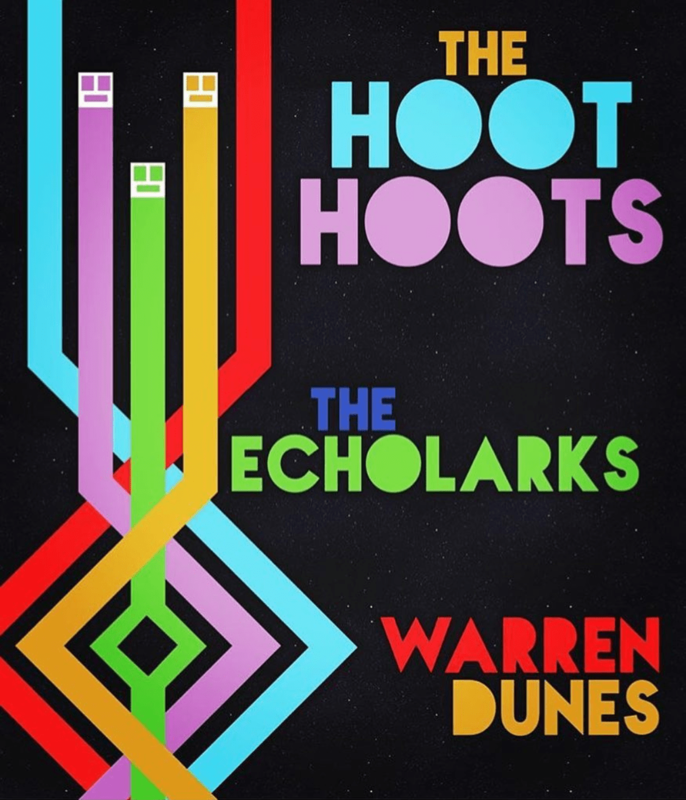 Tags: Seattle, Sunset Tavern, The Echolarks, The Hoot Hoots, Warren Dunes. Electric NoNo at Squeak & Squawk Tacoma this Friday! 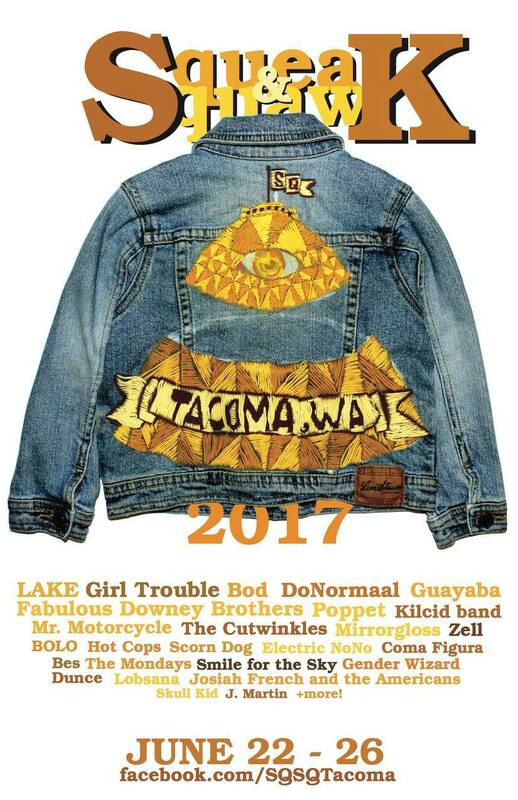 As a TacoMan, I’m very pleased that there is going to be some excellent live musics in our town this coming weekend. It’s the return of the Squeak & Squawk Music Festival, an absurdly sporadic happening over the past 10 years (I think it’s been about 5 years since the last one). I betcha didn’t know she was a local, didja? Anyways, there’s a buncha other musics happening from Thursday through Monday at various venues around town, so there’ll probably be at least someone you’ll wanna listen to. You can see the full lineup on Squeak & Squawk’s event page on the Faced Book. I’ll for-sure be at The Valley this Friday! SO CAN YOU! Tags: Ashley Eriksson, Electric NoNo, LAKE, Squeak & Squawk. So… last week I beat all the Shrines in The Legend of Zelda: Breath of the Wild. And last night I finally completed all 76 of the Side Quests. Whew! Even though I only found just under 300 Korok Poops Seeds* (out of apparently 900 possible) it was enough for me to max-out my weapon slots, so I’m gonna go ahead and call this game complete. The only other thing I think I could do is upgrade all of my armor that I haven’t already upgraded all the way (I’m pretty sure I have collected every piece except for those you can only get using amiibo), but that just involves a bunch of grinding to get the materials you need, and that’s not really in the spirit of the rest of the game. I guess now I can take a break from playing and do other things with my extremely scarce free-time. I have a couple o’ books I haven’t read yet. 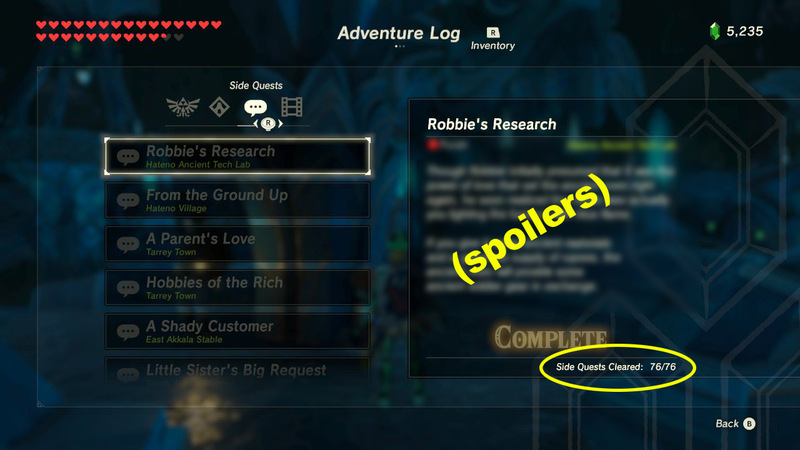 *Seriously, next time you get one of those Korok Seeds, look at its graphic and read its description and tell me it’s not a dollop of forest person poo. Tags: The Legend of Zelda. 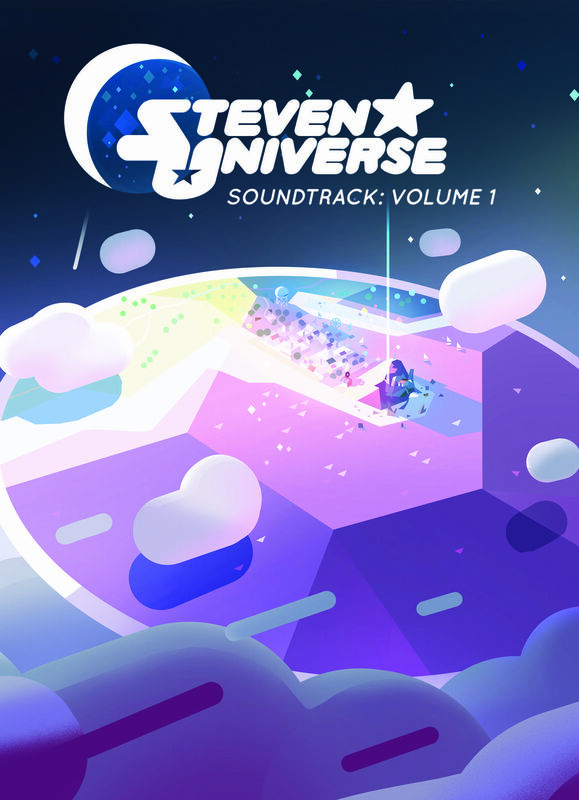 Get the Official Steven Universe Soundtrack. Do It. Qui sont les Gemmes de Cristal? NOUS sommes les Gemmes de Cristal! Last week finally saw the release of something Steven Universe fans have been clamoring for since days of yore, the release of the Official Soundtrack! I’ve been listening to it a lot and I’m not crying you’re crying shut up. Most of these songs have been available on teh internets for a long time in various forms, especially from series composers Aivi and Surasshu’s Soundcloud account. Many of the songs, though have only been available because the audio was recorded directly from the broadcast episode, so the quality hasn’t been all that high. BUT NO LONGER! The songs on this album have all been re-mastered and any interfering sound effects removed. The results are gorgeous clarity. Shut up I’m not crying you’re crying shut up. The Steven Universe Soundtrack Vol. 1 (VOLUME ONE, PEOPLE; THEY GONNA MAKE MORE!!!!) is available on iTunes, Amazon, Spotify, and Google Play. All 37 songs for less that ten bucks. GIT IT.